With massive reach, you’ll be able to manage higher materials stocks more effectively, and with industry-leading productivity, you’ll get more done, and faster. Quick-change attachment fittings lets you switch from grapples to magnets quickly. In most cases, a low-crawler is sufficient, but for operations loading scrap into trucks or rail cars, a drive-under gantry reduces cycle times and increases productivity. 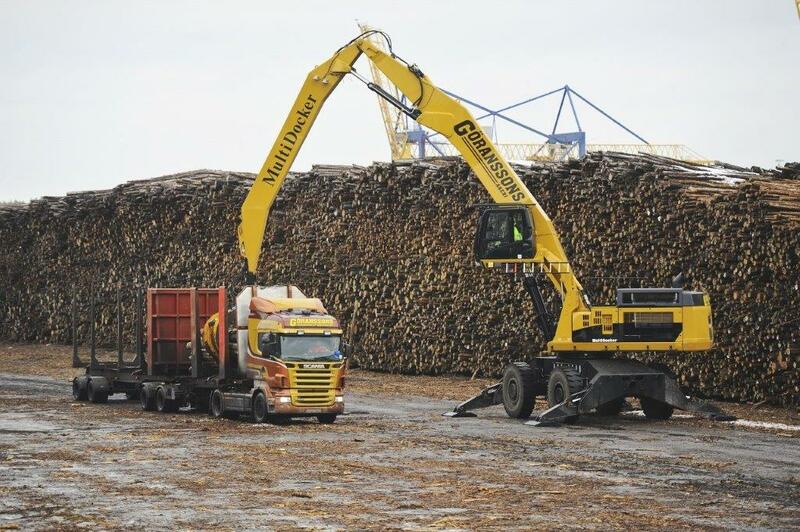 High mobility, extensive reach, plus high lift capacity means the ability to load and unload timber stocks more efficiently. Choose from a stable 4WD wheeled machine that can literally go anywhere, or a larger machine with drive-under gantry for truck or barge unloading operations. 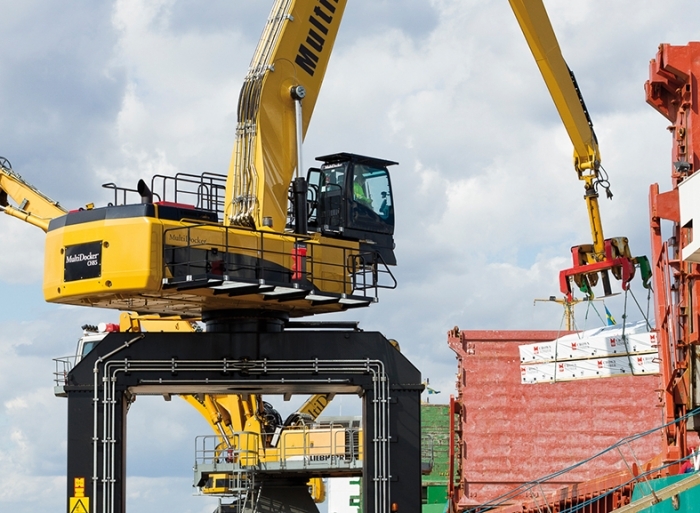 MultiDockers can be fitted with an unlimited range of attachments. WIth an available quick-coupling device, different attachments can be connected quickly, to keep your operation humming. With a Cabin Forward design, you can extend the cab forward and see down into ships, for improved accuracy. With 30 years of cargo handling experience, nothing beats MultiDocker for cargo handling innovation. 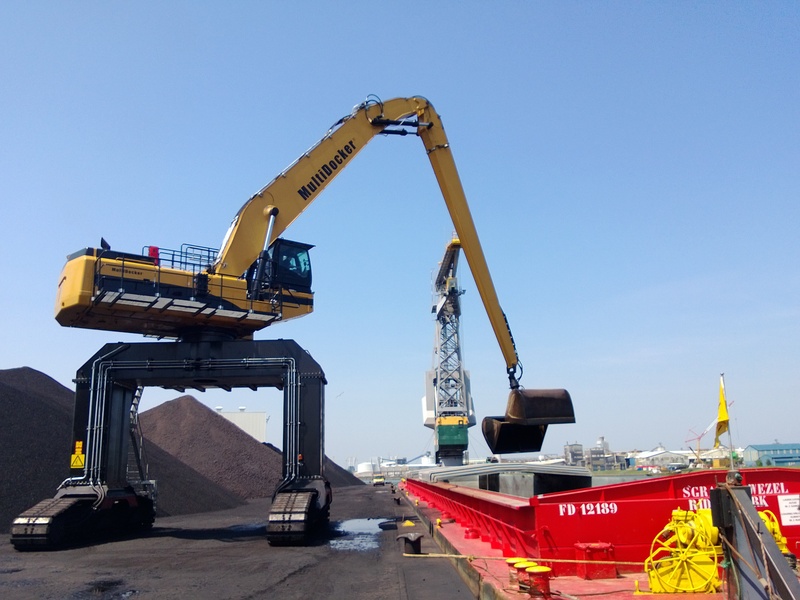 MultiDockers are frequently used to efficiently load and unload aggregates and ores from large barges as well as vessels up to 30,000 dwt. They can be fitted with clamshell buckets and offer lift capacities up to a whopping 25 tons, while maintaining smooth control and fast cycle times. 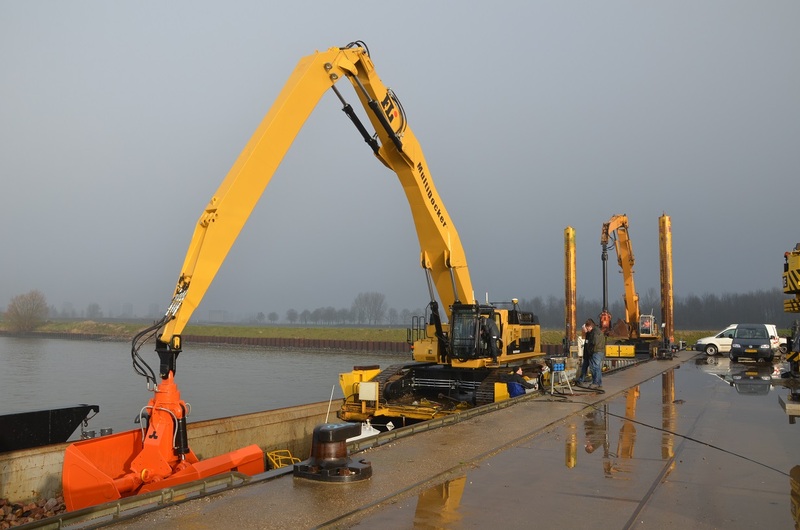 MultiDockers make great dredging machines. They can be loaded onto barges, work from the shorline or jetty, or from dockside, as needed. 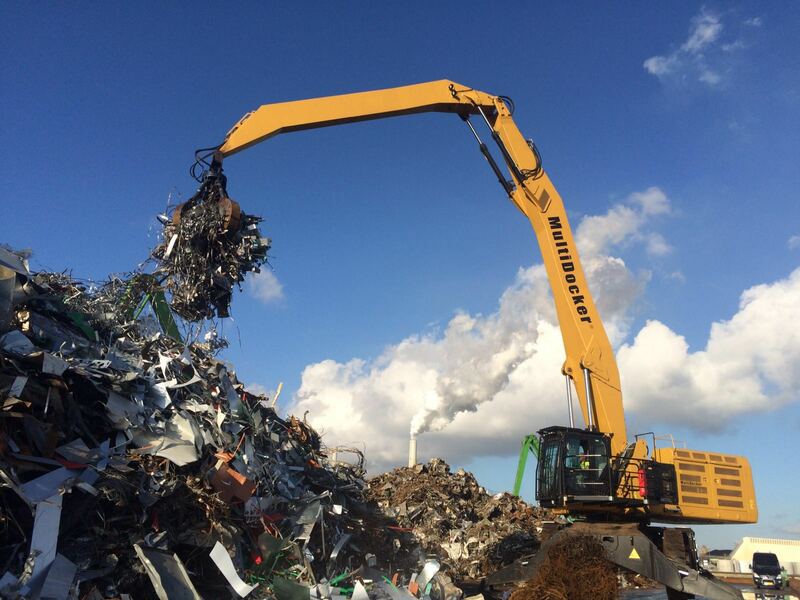 Extensive reach, high lift capacities, and fast operations provide great overall efficiency. They can be fitted with clamshell or orangepeel grapples for dredging, rip-rap, levee work, and more.